Seminyak is one of my top spots in Bali, it’s way from hectic Kuta and is a little bit more up scale. Most places in Seminyka are luxury 5 star villas and hotels, some of which can cost a pretty penny. 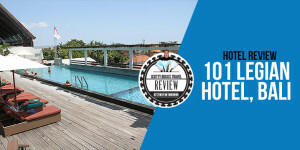 But I have found some little gems to help you enjoy Seminyak on a Budget, here are my top picks for budget hotels in Seminyak Bali. If you are after a cheap hotel that’s both clean and nice. Then you will love this little gem I found. 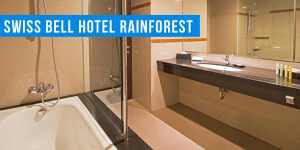 From just $25 a night for a standard room, with air-con, private bath room, hot shower etc. Read more. Close to the beach, shops restaurants. The place was clean and the staff super friendly. This is a little more than my other budget hotels at around $60 a night. But still worth mentioning. Read more. It’s like a little oasis, close to beach and a free shuttle bus.. Read more. It’s like a little oasis, away from the hustle and bustle. Free shuttle bus.. Read more. Another cheap hotel close to the beach (300m), but the rooms are quite small, smaller than Fave Hotel. Read more. A little bit of luxury at a budget price… Read more. It is a little hidden secret at the end of a long dead end alley. For a budget hotel it has a touch of Luxury. Not a beach hotel. Read more. Legian is one of my top spots in Bali, it’s way from hectic Kuta and is a little bit more up scale. 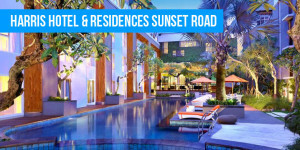 Legian is a mix of budget and scale luxury 5 star villas and hotels, some of which can cost a pretty penny. 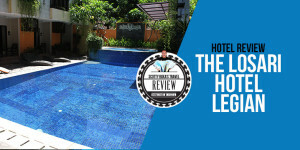 But I have found some little gems to help you enjoy Legian on a Budget, here are my top picks for budget hotels in Legian Bali. The following Budget Kuta Hotels have been personally researched one by one by me, so you can plan your holiday easily and find the best value for your buck. 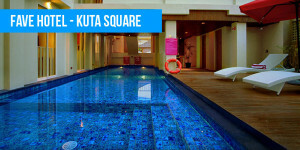 Kuta is best known as a tourist area, its the tourist hub of Bali. 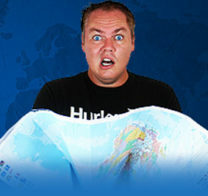 Your more likely to hear the Australian accents than Balinese. To me Kuta is very busy, crowded and chaotic, packed with cheap bars, clubs and night life; which makes Kuta the perfect place to party. With clubs open until dawn, and hotel pools become alive. Hence why all the younger party goers come here. Kuta also has plenty of restaurants, shopping and spectacular sunsets. If you are wanting to make the most of Kuta’s Nightlife. Choose a hotel close to the bars and clubs. It will make life easier when getting home in the wee hours of the morning. You can visit most hotels even some of the expensive ones, taking full advantage of their restaurants, pools, facilities and even the views! The biggest and most popular bar and club in Kuta is the Sky Garden. Check here to read our Kuta Night life Guide. Matahari Bungalows is located on Legian Road, the main road thru Kuta. But don’t worry you wont be able to hear the road noise.. Read more. This place is ideally situated within walking distance to Legian Street, Kuta Square Shopping Centre, KFC, McDonalds, Hard Rock Cafe, Kuta Beach and the Beach walk mall… Read more. Best Western located about 100m from the beach, perfect if you want to spend most of your days lazing around down on the beach…. Read more. Losari is located in the middle of Shopping, Restaurants and Bars, and about a 10min walk to the beach…. Read more. For a budget hotel it is above exceptions…. Read more. 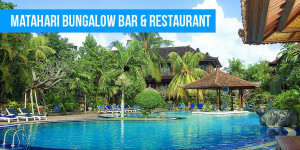 If you are looking for a quick exit to and from the airport then try out this hotel, I found this place a little bit to far from everything…. Read more. If you’re after a quick exit to and from the airport, then this place is for you. Not really close to much, but it does have a decent restaurant…. Read more.